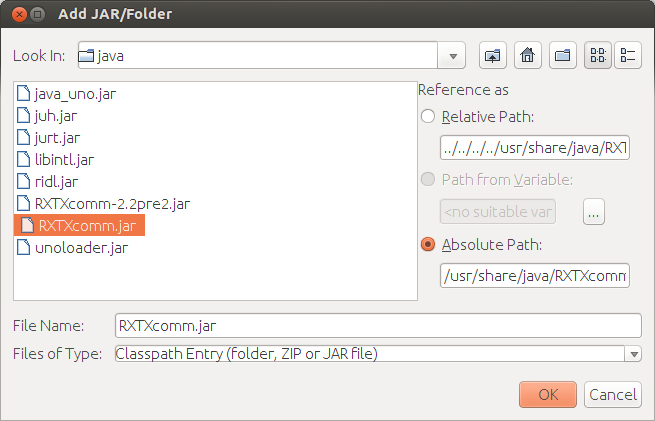 The former post describe how to "Install RXTX on Ubuntu". It simple download the files to your system, but Java not know where is it! 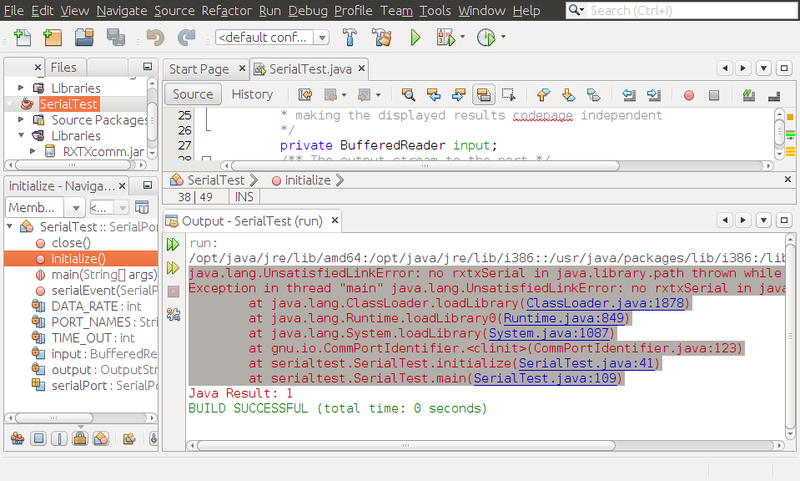 To work with installed RxTx, you have to setup Build Path to compile the code, and copy the binaries (.so files) to java library path. 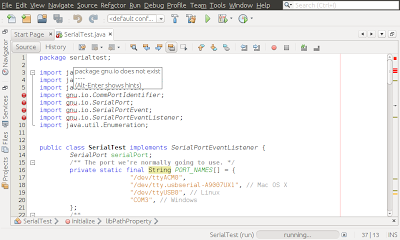 If build path not set correctly, error of "package gnu.io does not exist" will be thrown. 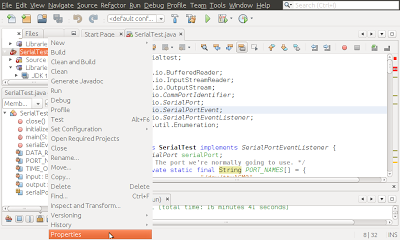 - Right click your project, select Properties. 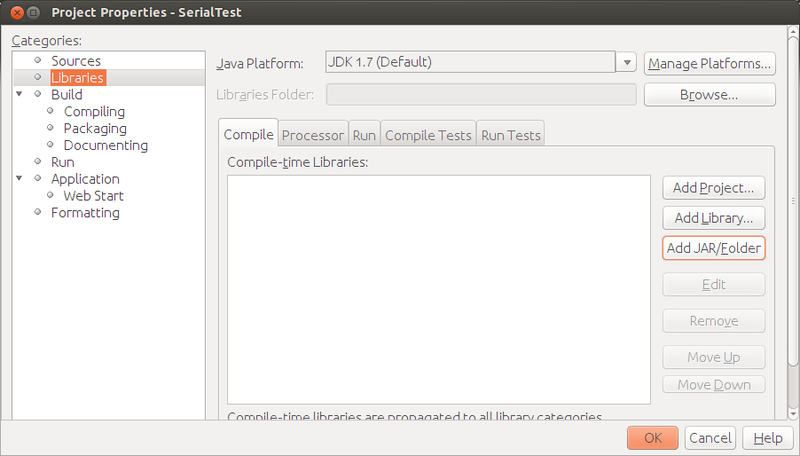 - Select Libraries in Categories, Compiler tab and click Add JAR/Folder button. 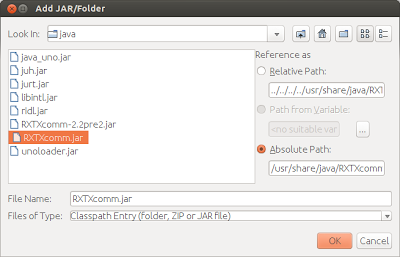 - Browse to select RXTXcomm.jar, should be in /usr/share/java folder, and click OK to accept. - Click OK again to finish. It should be compiled without error. 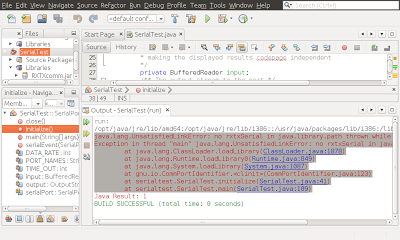 - Refer to the post "Get property of java library path" to know where is the library folder. 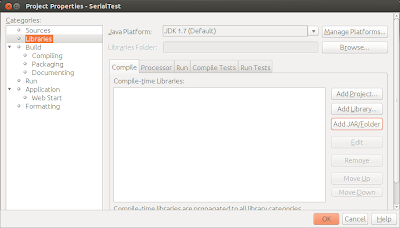 - Copy the binaries librxtxSerial.so and librxtxParallel.so (should be in /usr/lib/jni/) to one of the library folder (for example: /opt/java/jre/lib/i386/).